AMAZONAS planned cover, September/October 2016, Volume 5, Number 5. Images: Oryzias latipes, Medaka, F. Mori. “When Japanese talk about their domestic ricefish, they usually call them Medaka. This name is used for wild and farmed forms alike and can be roughly translated as “with bright eyes,” which refers to the big metallic eyes characateristic of ricefishes. Exactly when these little fish managed to conquer the hearts of the Japanese can no longer be pinpointed. 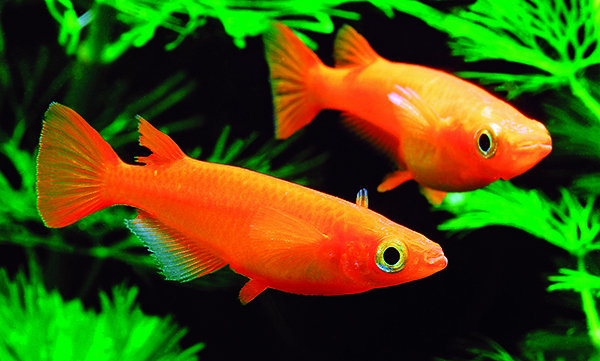 We do know that they, along with Goldfish, were kept by all classes of people in the Edo period (the reign of Tokugawa shoguns from 1603 to 1868). Look to the next issue of AMAZONAS for more about the magical Medaka, which is making a serious comeback with glorious new color forms from a new generation of Asian breeders. • BREEDING MILESTONE – L368: Success with the rare, beautiful and still unidentified Scobinancistrus Pleco known as L368. A must-read for all would-be home breeders. • PLUS: Cryptoheros altoflavus, Bermudian Killifishes, Hypsopanchax cf. zebra, a report from Tanzania and Michael Tuccindardi’s first-hand observations of the good that comes from wild aquarium fisheries in Latin America. And more…. 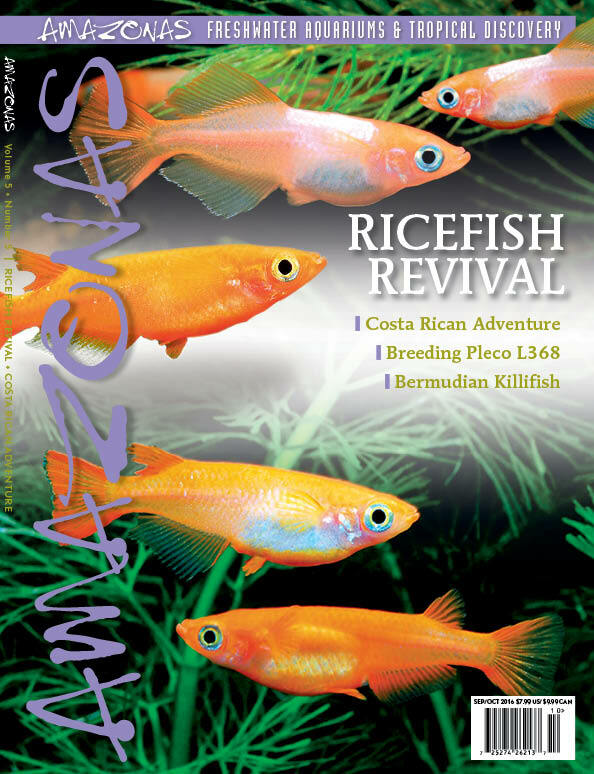 The July/August Issue of AMAZONAS will be arriving in homes and stores during the early days of August.. Subscribers can anticipate in-home delivery of print copies around the first of AUGUST, followed by email links to the simultaneous Digital Edition. Subscribe to AMAZONAS or buy Back Issues here.